Biodiversity: The variety of plants species and animals, and specific design for habitat replication. 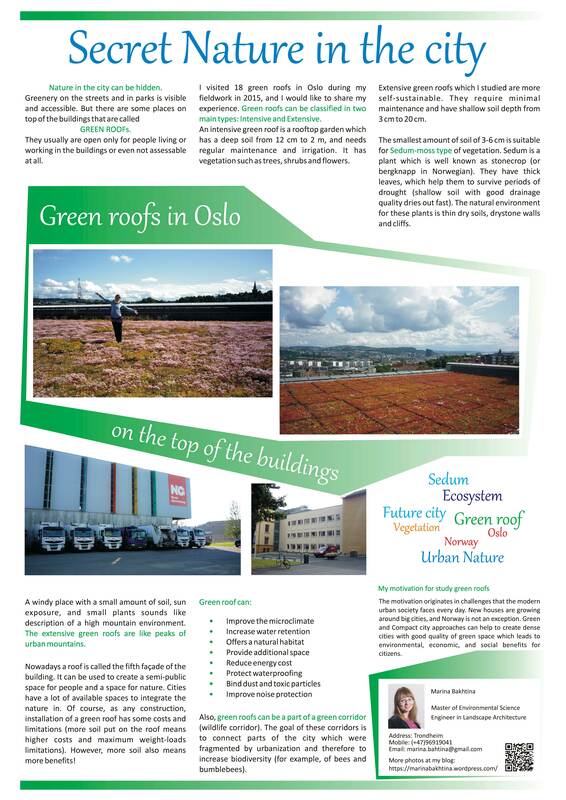 Water: How the green roof utilizes rainwater and / or been part of the strategy for climate change adaptation. Recreational value: To which extent the green roof offers recreational values. Sustainability: Material selection that supports circular economy and does not include materials with a heavy environmental impact. Spectacular and innovative design, and / or multi-functional design concepts. A presentation which I gave is for my photo exhibition in Trondheim, Norway (Stammen Cafe). In addition, there is a poster from the exhibition. The event was a part of a Norwegian climate festival Klimafestivalen § 112. I had defense of master thesis at 29 of August 2016. Thank you to my supervisor Stefanie Reinhardt and my internal censor Professor Arvid Odland and external censor Siri Lie Olsen. Another green roof in Sørenga district. 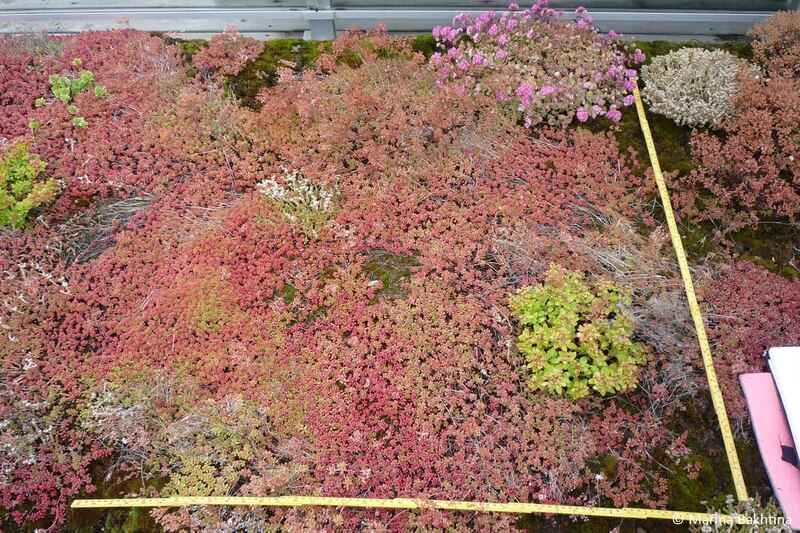 The extensive green roof is made by Bergknapp AS and Sedum mat are from BG Byggros A/S.